Financial crises; United States; History; 21st century. 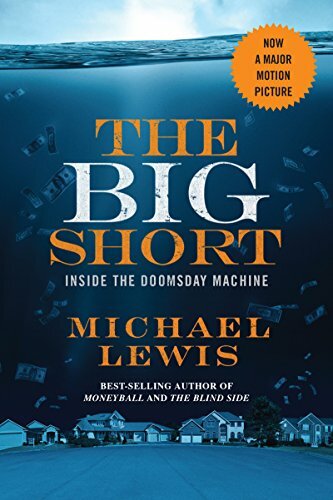 From the author of The Blind Side and Moneyball, The Big Short tells the story of four outsiders in the world of high-finance who predict the credit and housing bubble collapse before anyone else. The film adaptation by Adam McKay (Anchorman I and II, The Other Guys) features Academy AwardÂ® winners Christian Bale, Brad Pitt, Melissa Leo and Marisa Tomei; Academy AwardÂ® nominees Steve Carell and Ryan Gosling. When the crash of the U.S. stock market became public knowledge in the fall of 2008, it was already old news. The real crash, the silent crash, had taken place over the previous year, in bizarre feeder markets where the sun doesnât shine and the SEC doesnât dare, or bother, to tread. Who understood the risk inherent in the assumption of ever-rising real estate prices, a risk compounded daily by the creation of those arcane, artificial securities loosely based on piles of doubtful mortgages? In this fitting sequel to Liarâs Poker, Michael Lewis answers that question in a narrative brimming with indignation and dark humor.